If you're in the market for longer, fuller lashes, then have I ever got news for you! 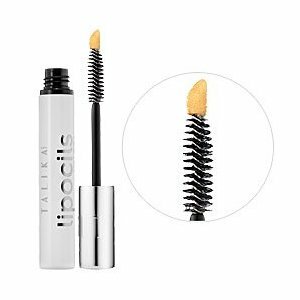 Today I'm giving one lucky winner the chance to try out Talika Lipocils Expert, which contains a whopping 12 plant extracts to protect and strengthen the skin around lashes' roots and optimize their growth. After 28 days of applying Lipocils Expert, your lashes could grow up to 4.1mm. Pretty incredible, right? I'm totally enamored of the packaging. A spiky mascara brush is topped off with a foam applicator to best apply the product to the roots. This giveaway has a retail value of $55! To enter, place your name and email address in the box below. The winner will be selected on Saturday, August 14 and notified by email. This giveaway is open to US residents only. Giveaway runs until Friday, August 13 at midnight. One entry per person, email address and IP address. Multiple entries will be disqualified.